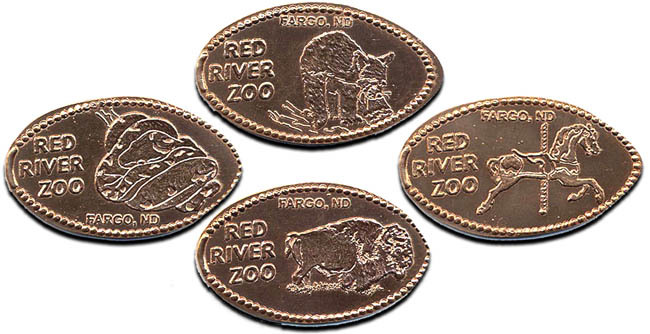 The Red River Zoo s first 8 acres opened in the spring of 1999. The Zoo is home to over 600 animals representing 89 species, including Red Pandas. It also includes a 1928 carousel that was fully restored in 1995 and donated to the zoo by the Diederich family. The zoo features a world class Gray Wolf exhibit featuring a family of 6 wolves. They can be viewed from outside or inside a "trapper s cabin" that has two large viewing windows to observe the wolf family. In 2013, the North American River Otter exhibit opened, and features an indoor and underwater viewing area. The zoo specializes in breeding and exhibiting some of the world s rarest cold climate species, having successfully bred Red Pandas (11 births as of 2012, including two sets of triplets), Sichuan Takin, Pallas s Cats, and Russian Red Tree Squirrels. thegillion added Red River Zoo to system.